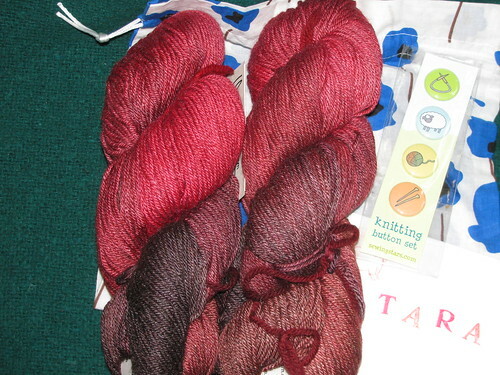 So, I received a lovely swap package from Ann for a Ravelry swap. We have two skeins of Four Play - gorgeous Brooks Farm yarn in the magical blend of a color I probably never would have chosen and yet totally love. A lovely Della Q project bag. And a lovely card. Thanks so much, Ann!